Do you know the stories of these Sanshui gourmet? Recently, the 7th batch of Sanshui District intangible cultural heritage list was released and Xinan soy sauce, Xinan rice vinegar, Mingchang mini chewy cake (Ji Zai cake in Chinese), Nanshan colored and glazed pottery and Leping big dumpling were selected, among which four projects are food. According to historical materials, seasoning is an ancient industry in Sanshui, which flourished in the 1930s. There were eight soy sauce factories in Xinan, such as “Sanhe”, “Sanxing”, “Wanxing” and “Julong”. The Sanhe Soy Sauce Factory with the largest scale produced about 500 kilogram soy sauce every day. 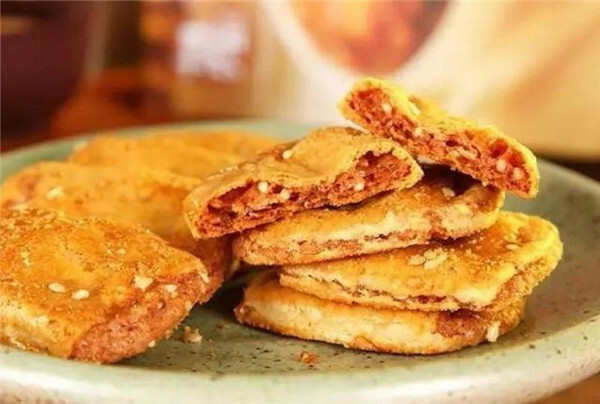 At that time, Sanhe soy sauce, Lihexing spiced dried bean curd and Xinan almond cake were called “three delicacies in Xinan”. 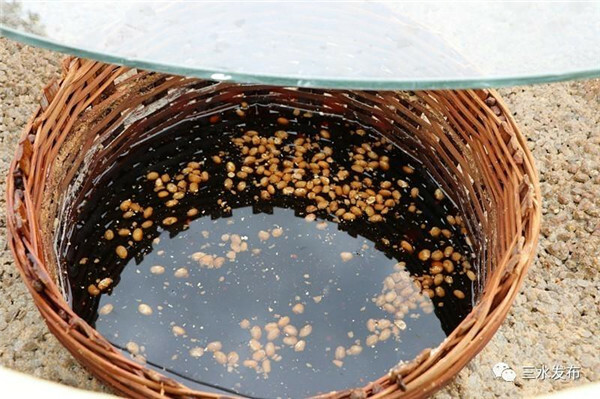 From choosing soybean to airing sauce in the sun, the traditional production process of Xinan soy sauce never changes. 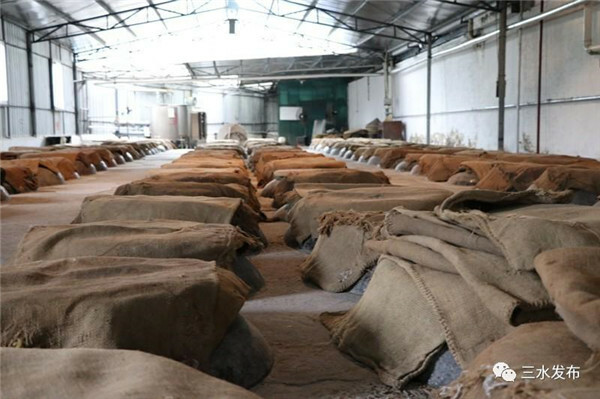 There are many procedures and details and the incubation period takes 3 to 5 months while the return is little, so nowadays many soy sauce factories no longer use this traditional artistry. Besides soy sauce, Sanshui Funsfood Co Ltd (known as Sanhe in the past) also produces Xinan rice vinegar. The Guangdong traditional fluid method of making vinegar takes rice as raw material, steam it, place it in a wine jar till it turns into fragrant vinasse under natural fermentation, and then add water and natural acetic yeast into the jar for fermentation for a month and a half . The slightly yellow rice vinegar tastes mellow with a gentle sour smell and a light rice flavor. Nowadays, Funsfood still insists on traditional method and its products include sticky rice vinegar, white rice vinegar, Tianding sweet vinegar, etc. Mingchang mini chewy cake (Ji Zai cake in Chinese), Foshan Mang Gong cake and Zhongshan almond cake are called “Guangdong three famous cakes”. The originator of Mingchang mini chewy cake was Wu Liang. He used to sell all kinds of dumplings on the street every day. One day, a man called Ji Zai was selling a strange cake next to his stand. The cake tasted soft with a hard skin, which was amazingly delicious. Mr. Wu asked him to teach him to make this kind of cake. Afterwards, more and more people come and buy the cake and it is called Ji Zai cake till now. Mingchang mini chewy cake sticks to the traditional handmade method, which selects shelled melon-seed, white sesame and pork as stuffing, making it a tasty and popular snack. Zheng Shaozhong, Minister of War in the late Qing Dynasty had a nickname “big mouth Kim”. It was said that Zheng was not satisfied with regular-sized dumplings, so cooks made big dumplings for him. 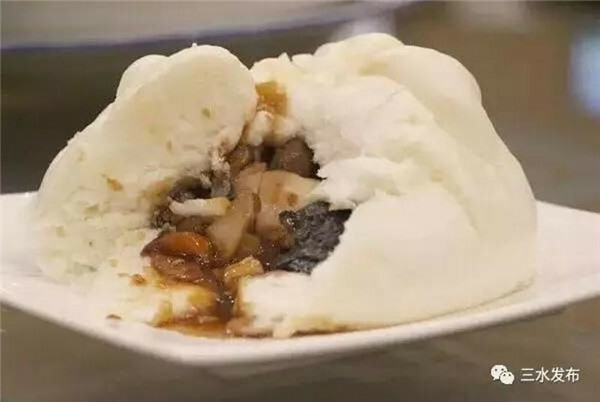 This 500-gram big dumpling becomes famous and since then, people of the Pearl River Delta are attracted to try the food. In the 1980s, farmers in Leping would have breakfast in restaurant and they were fond of the big dumpling very much as it was cheap and big. Gradually, it becomes a symbol of morning tea. Other food on the intangible cultural heritage list? In fact, there are many gourmet among Sanshui intangible cultural heritage projects. 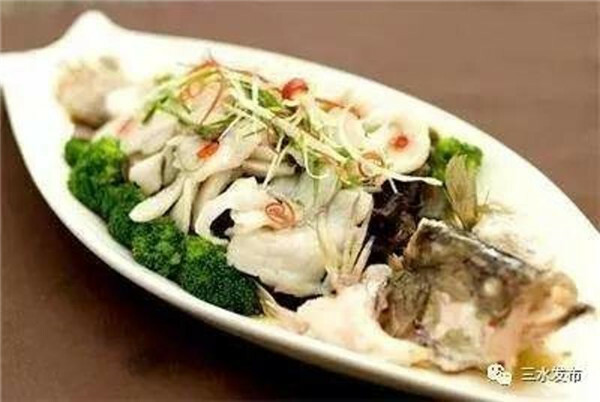 “Sanshui gourmet” is listed in the third batch of Sanshui District intangible cultural heritage list, which is divided into Sanshui freshwater food, local flavor snacks and field gourmet. Sole fish, weaver, sturgeon and mandarin fish of the top ten freshwater food can be found in rivers in Sanshui. Meanwhile, Sanshui field gourmet includes water beetle, water cicada and so on.